Christopher T. Hood « James McElroy & Diehl, P.A. Chris Hood earned his Bachelor of Arts degree in Philosophy from Wake Forest University, and earned his Juris Doctor from Campbell University’s Norman Adrian Wiggins School of Law. Chris has represented family law clients as well as a variety of corporate entities and individuals litigating before both trial and appellate state courts. 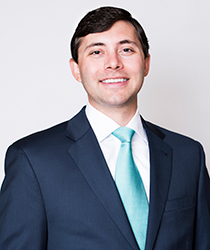 Since joining James, McElroy & Diehl, Chris focuses his practice on civil litigation and appeals.